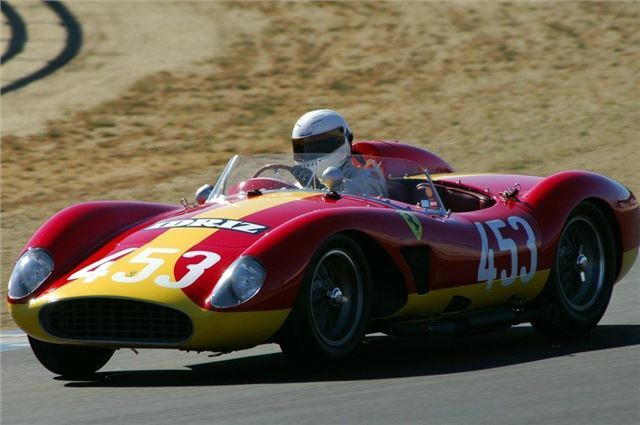 A 1956 Ferrari 500 TRC first in class at the 1957 Le Mans in 1957 and second in the 1957 Grand Prix de Spa will be one of the stars at Chelsea Autolegends on Sunday 2nd September. It will be part of a fine collection of classic Ferraris will be on display in the grounds of the Royal Hospital Chelsea. This particular car (not the opne pictured) was forced to retire from racing when it was involved in an accident at the 1959 Targa Florio. In more recent years, it has been reunited with its original motor and restored by David Cottingham of DK Engineering, who now campaigns with the car at a variety of historic motoring events. Alongside will be David Piper's rare Ferrari 365 P2 and a host of other late 50s, 60s and early 70s Ferraris from the 1958 250 GT Tour de France to the 1971 Dino 246 GT. Also on show will be the Ferrari 288 GTO that was first owned by the former sporting director of Renault F1, Jean Sage, along with its successor, the Ferrari F40.